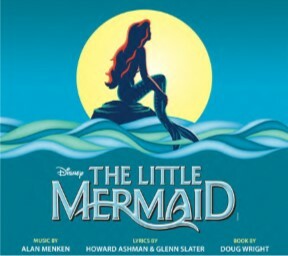 PALMDALE – Tickets are now on sale for upcoming performances of Disney’s The Little Mermaid, coming in March to the Palmdale Playhouse, located at 38334 10th St. East. Showtimes are Friday, March 22 and 29, at 8 p.m., Saturday, March 23 and 30, at 8 p.m., and Sunday, March 24 and 31, at 2 p.m. The shows are expected to sell out so advance purchases are suggested. A collaboration with the city of Palmdale, Palmdale Playhouse the Palmdale Repertory Theater, the play is based on the Hans Christian Anderson story and the Disney film produced by Howard Ashman and John Musker, and written and directed by John Musker and Ron Clements. It was originally produced by Disney Theatrical Productions. “This fishy fable will capture your heart with its irresistible songs, including ‘Under the Sea,’ ‘Kiss the Girl’ and ‘Part of Your World,” said Palmdale Recreation Supervisor Annie Pagliaro. 2 comments for "Tickets on sale now for The Little Mermaid, coming to Palmdale Playhouse"
Seating is theatre-style (first-come, first-served).